Depart from Bangsal using the bus and transit in Senggigi (Head Office) to get briefing about the program. And the tour proceed to Narmada temple to see holy spring water, people believe that water can make you stay young. After that we are going to Labuan Lombok harbor and start the trip with the boat and then proceed to Kenawa Island, our activities in Kenawa is swimming, snorkeling, and enjoying the beach on this island. After dinner we are going to Satonda Island. After having breakfast, in Satonda Island our activities are snorkeling and swimming, in this island we also trek for 5 minutes to visit salt lake in the middle of this island. We can swim or do other activities in that lake. After we completely enjoyed Satonda Island, we are heading to Komodo Island and we will arrive on the day-3 in the morning. 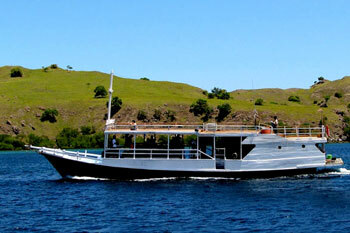 While we are going to Komodo Island by using boat, we can see beautiful panorama from the island, dolphins, sunset and sunrise. We finally arrived in Komodo Island (Loh Liang) in the morning. On this island we will trek for about 2 hours to see Komodo (Varanous Komodoensis) and also many kinds of wild animals like deer, monkeys, snakes, pigs, and various birds. 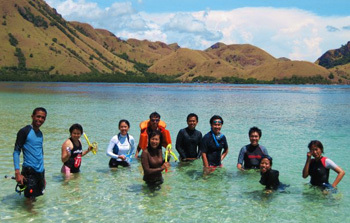 After trekking in Komodo Island, we are going to Pink Beach or Red Beach. 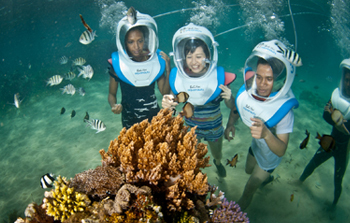 We can do some activities like snorkeling and swimming there. This is the best place for snorkeling as you can see beautiful fish and corals. When you come to the beach the sand looks red because of abrasion from the coral. After visiting pink beach, we are going to Labuan Bajo. You can see a small town with friendly people and you can buy some souvenirs. Don’t forget to try local food in this place. In the morning after having breakfast, we are going to Rinca Island (Loh Buaya), on this island we will walk for 2 hours to see Komodo and also many kind of wild animals. In this island we can see the dragon (komodo) nest. After trekking, you can see beautiful panorama from the top of this island and you’ll be easier to find komodo. 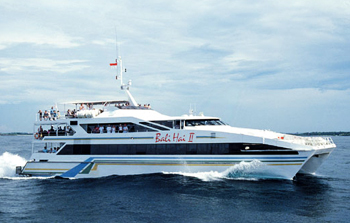 After visiting Rinca, we will go to the next island which we can call as Gili Laba Island. We will walk for 45 minutes to the top of this island to see florescence landscape (panorama). After that, we can do some activities suh as snorkeling and swimming (relaxing on the beach for about 1 hour). After visiting Gili Laba Island, we are going to Moyo Island. 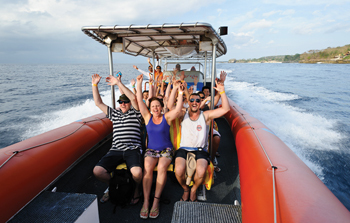 In Moyo island we have some activities. We will see waterfall and how local people live in this small village. After visiting Moyo Island, we are going to Bola Island to do snorkeling and swimming and we will spend a night near this island. Early morning after breakfast we are going to Labuan Lombok. You can see beautiful sunrise from the boat while we are sailing. After we arrived at Labuan Lombok, our bus will pick you up and bring you to Mataram / Senggigi and check out for your next destination.